"Heroes Rise: These Delicate And Dark Obsessions"
The Court Of Owls holds a pretty ridiculous ceremony to kick off the episode, voting to deploy some sort of secret weapon to “cleanse” Gotham and start anew. It’s the kind of over-the-top scene that doesn’t boast a hint of irony and therefore falls flat. Playing it straight is often a bad choice for Gotham. Meanwhile, Bruce is still locked away, with Raymond J. Barry by his side making him relive his parents’ murder over and over again by using some sort of mind-expanding needles. “I want to speak to whoever’s in charge.” Bruce is already honing his rich boy privilege skills. Gotham has always struggled to make Gordon’s storylines compelling, and this nonsense with Uncle Frank is just the latest example. It’s a mess of convoluted storytelling, from Uncle Frank putting out a hit on his brother/Gordon’s father, to his eventual turn towards doing what’s right. Similarly, Lee asks Jim how he can keep moving forward when all he leaves is destruction in his wake, and that’s a moral conundrum that’s never really landed on this show. Gotham loves to suggest that somehow Gordon is an anti-hero of sorts whose morals are slowly being corrupted by his work, but the storylines have never explored this thoroughly enough to make it emotionally impactful. Instead, Gotham just keeps hitting the same narrative beats with is supposed main character. At least there’s something substantial happening with Bruce, as he’s beginning his training (of sorts) to become, as Raymond J. Barry’s character puts it, “a symbol against fear” for Gotham. Barbara putting fear into the men who cross her while listening to “Love Hurts” is the version of Gotham I love the most. 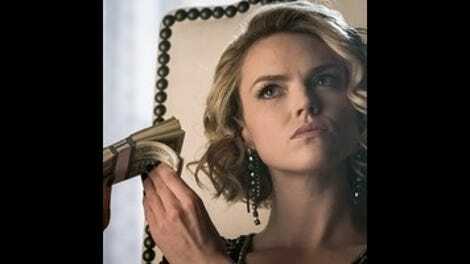 It looks like Penguin has officially replaced Nygma with Ivy as his co-conspirator. Now, he’s on a path to assemble an “army of freaks” from Indian Hill so that he can get his revenge. Speaking of murderous rampages, it turns out that the “weapon” the Court Of Owls plans on unleashing on Gotham comes in an Indian Hill crate, no assembly required, which means that some sort of destructive monster is about to be let loose in the streets of Gotham. What are the odds it’s someone we’ve seen before, like Freeze or Firefly? “James Gordon must be killed.” The Court Of Owls said this, but you’d be forgiven for thinking it was a line from literally any other villain throughout three seasons of Gotham. The show only knows one way to raise the stakes. While most of the storylines that define the back half of this season are faltering, I very much look forward to a Nygma-Penguin confrontation. 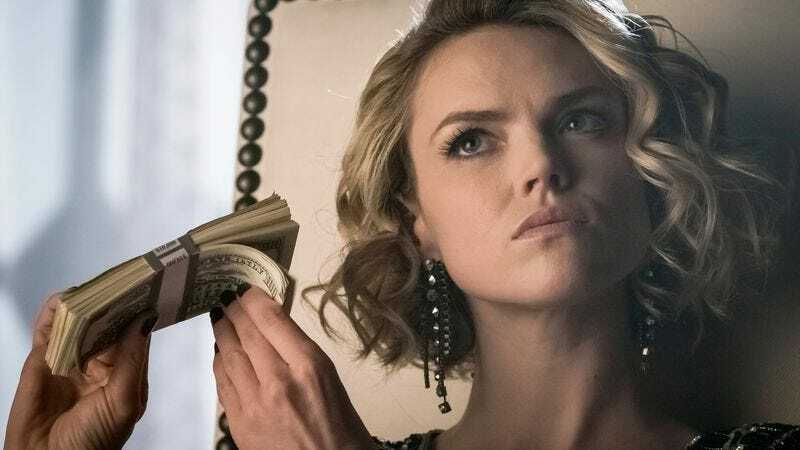 I’m hoping that they come together and manage to work things out by the end of the season, and maybe establish a powerful quartet with Barbara and Tabitha that rules over Gotham.